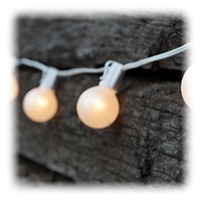 Outdoor string lights are a festve way to illuminate natural spaces for many occasions and purposes. Try one or a few of these popular lighting ideas to make your outdoor spaces more inviting while transitioning effortlessly from day to night! Hang lights across open areas by attaching them to opposite sides of a fence, the home's exterior walls, or freestanding poles. 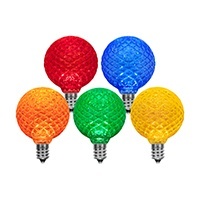 Globe lights are a popular choice for this application. For pergola lights, streamline A15 clear outdoor patio lights along the roof or wrap mini lights around the rungs and support columns. Hang LED icicle lights down a deck staircase and wrap mini lights across railings. 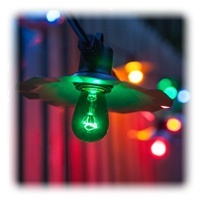 G50 multicolor LED globe lights are the perfect summer party light for enhancing a backyard event. If you have a chandelier or other central lighting, add string lights by meeting or crisscrossing them with the centerpiece. 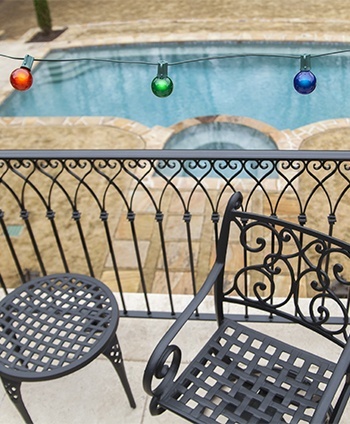 Wrap decorative mini string lights around an outdoor umbrella to illuminate a patio dining area. Anchor A15 clear outdoor patio lights on large tree branches above an outdoor dining table to create a rustic style dinner party. 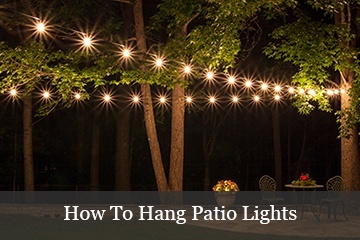 Turn a small patio or balcony space into a cozy, exciting outdoor living space with just a few lights. 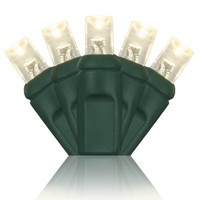 Attach lights to opposite sides of exterior walls to create a canopy overhead. Choose smaller G30 globe light bulbs to accent, not overpower your space. 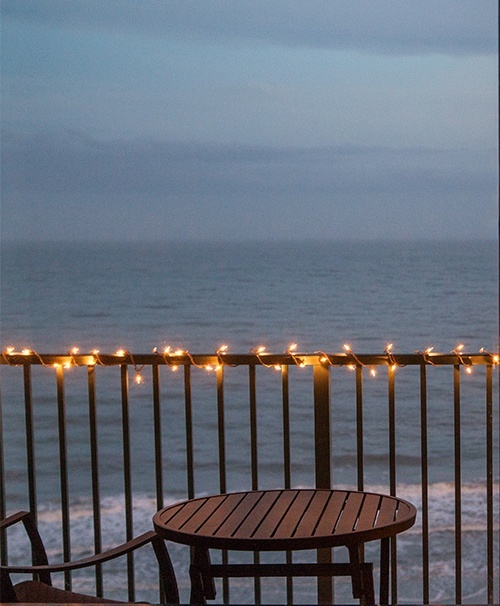 Wrap or hang patio lighting, such as G40 multicolor globe lights or mini lights around the edge of a balcony or fence. No plug? 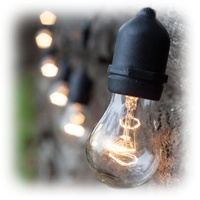 Solar powered patio lights are perfect for small spaces! 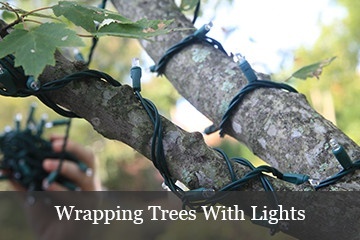 Tie Battery-Operated LED Fairy Lights around plants with tree- or branch-like features. 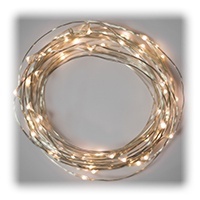 Create a curtain effect by hanging multiple strands of mini string lights across the ceiling or openings between walls. 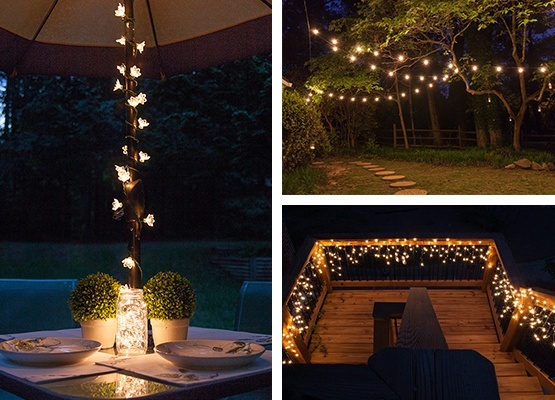 Add ambiance to outdoor dining areas with patio string lights. 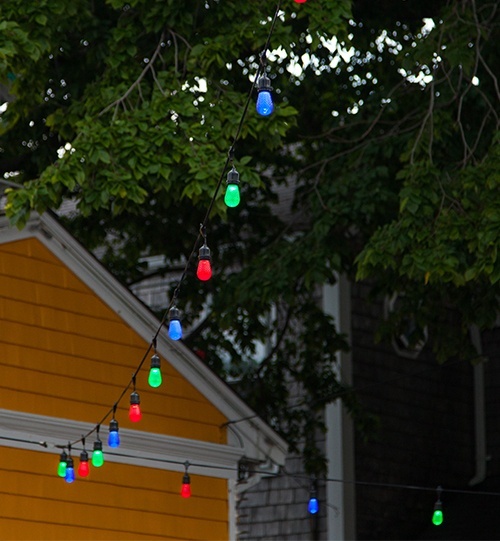 Create a backyard bistro, enhance an outdoor cafe or illuminate a dinner party in style with these unique outdoor lighting ideas. 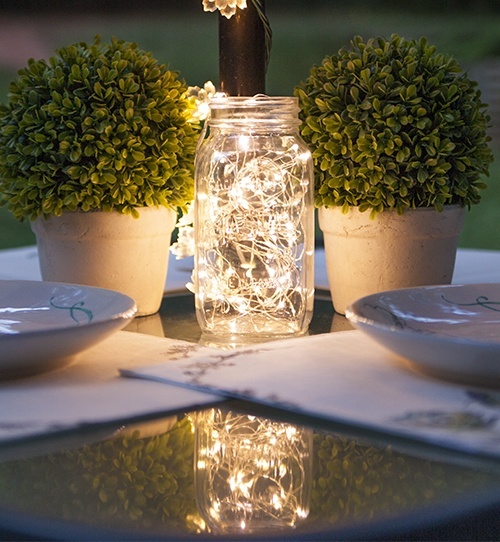 Make a DIY lighted centerpiece by placing battery operated fairy lights in candle lanterns, wine bottles or mason jars. Add decorative accents,such as colorful beads or flower petals to hide the battery pack. Attach A15 patio lights or globe string lights to columns or poles and zig zag or crisscross light strings across outdoor dining tables. Choose bistro lights featuring copper shades to effortlessly enhance the design of your outdoor space. 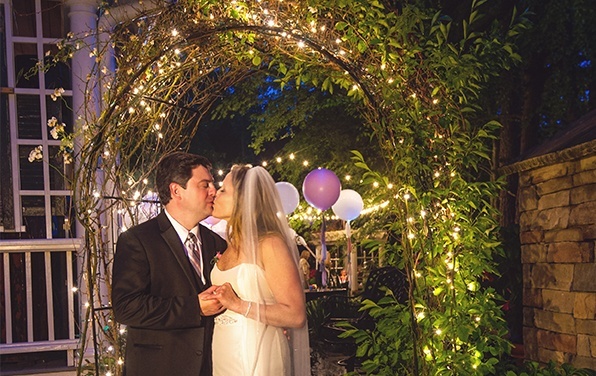 If your wedding is taking place outdoors, the lighting possibilities are endless! Hang string lights down each side of pathways, wrap trees with mini lights and decorate an arbor or ceremony focal point with the soft glow of icicle lights. Want even more lighting at your wedding? 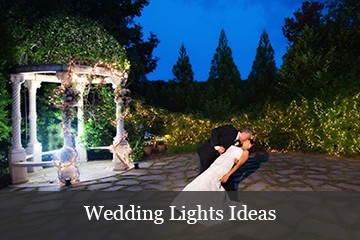 Try one of our other favorite outdoor wedding lights ideas. If your reception takes place in an outdoor tent, barn or other structure, hang icicle lights from the ceiling and weave in a few strands of twinkling lights to mimic the stars in the night sky. Create an open air lighted tent by hanging patio lights across your event space and lifting the center of the strings with a guide wire placed slightly higher than the ends. 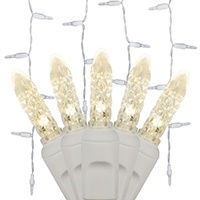 Nestle decorative flower string lights in bushes and shrubs or wrap them around trees, columns and poles to add a touch of whimsy to an outdoor wedding.